Below you will find a list of sports betting strategy tips to help you beat the sports books. One of the most important factors to running a successful sports betting account is Bankroll management. Before wagering on anything, it is imperative that you establish a baseline amount that you fund your bankroll with. This number will serve as your starting point to keep track of your wins and losses. An example will be that you are starting your bankroll # at $10,000. This amount is then divided into 100 units. These units are how we will keep track of wins and losses. You will notice that the picks I make always have a number of units associated with them. My Basic Sports Betting Strategies is to use 2 unit bets for most standard plays, and I then adjust my bets based on my confidence in the play. My plays range from 1 unit all the way up to 5 units. The 5 unit plays are rare but are what I consider to be my highest rated plays. Here is an example of a 5 unit play on the right. This was a play I made back on October 11th 2013 after Utah State lost their starting QB. If you look up the results Boise State Won the game easily by a score of 34-23. Easily covering the -6.5 points. The reason for this strategy is that you want to make sure you NEVER over commit to any one game or event. Sports picking is a marathon not a sprint. You want to manager your bankroll to withstand a losing streak should one occur. Once you build your bankroll you can start to adjust your unit amount. But the strategy of unit based plays still remains. When you see the line you will need to take into account the amount or the "juice" that the house or sports book is taking based on the bets they have already received. If the sports book has a line listed at (-110) this means that when you bet $100 you only win $90.91. This is very important as when you bet on a line that is popular with the public you will not win as much. This "juice" has a significant impact on your long term success or failure as a sports bettor. As the juice line is always moving I often will leave it out of my post. If there is no line listed on my blog you can assume that the line is the standard -110. However if at the time of my blog post the line is -120 or something worse, i WILL post the line to make my followers aware of it. Hopefully this was a helpful start to understanding the basic bankroll management strategy of sports betting. A second tip for determining your sports betting strategy is to develop your sports betting methodology. This is the foundation of your strategy for picking winning teams, and more importantly winning bets. The third part to the basic sports betting strategy is really a 2 part step. First off you must track all of your wins and losses. I suggest you either do this with an online application like Sharp Bet Tracker. or you do it with a Google or Excel Spread Sheet. The nice thing about sharp bet tracker is that the program automatically calculates wins and losses once the game is complete. This application also allows you to run some basic analysis on your sports betting strategy so see which parts are working and which types of bets are your most and least profitable. After you make your selections with your sports betting strategy, the next step is to get the absolute best possible line for your bet. To do this you will need accounts on multiple sports books. I personally have accounts on about 8-10 Sports Books at any given time. This way I can shop around for the best lines and best odds before I make a play. The difference between -105 and -110 or -115 may seem insignificant but when you compound it over the course of a year’s worth of bets it can end up being a massive number. To start off the math to figure out the return on a single bet at -105 and - 110 is as follows. We will use the basic unit strategy from sports betting strategy tip # 1 above and we start with $100 units. Now assume we have a 55% win ratio. Meaning out of 100 bets we win 55 or out of Based on our strategy of betting 20% per week if we make 20 bets in one week we win 11. As you can see the difference is massive even for just one week. That’s an almost 50% difference in the amount of money you win! Now repeat this over 52 weeks and factor in compounding and the number gets HUGE. This is why you absolutely MUST get accounts on multiple sites if you want to be a profitable sports investor and shop around for the best lines. I personally try to get most of my bets at -105 and almost never go above -110 for a standard Spread Bet. I have a full review of some of the most popular sports books here. My personal favourite books are 5Dimes and Pinnacle. Be very careful buying points in basketball and always look for the most competitive lines by checking several different sports books. The difference between -115 and -105 is massive when compounded over a years worth of bets. 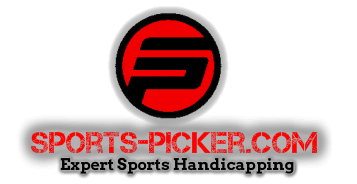 Having accounts on multiple sports betting sites also allows you to occasionally find arbitrage opportunities where one book will have a line that is several points off of another book. I see this often with Bovada or Bodog. They shade their lines in football to make teaser bets less profitable. This gives spread bettors an opportunity to bet the line at say -2.5 on Bovada and go bet on the other team on another book like 5Dimes at +4. This gives you an opportunity to win 20X you money if the game ends on 3 and you win both bets. This actually happen more frequently than you would think.